Crazy Weather and Budding Trees Have Allergies Flaring: How to Handle it Without Hitting up the Pharmacy. Ah, spring is in the air! Well, maybe not this past week, but it has been and will be back shortly. It’s beautiful and refreshing. Birds are chirping in the morning, trees and flowers are budding and even blooming, but oye…those allergies. 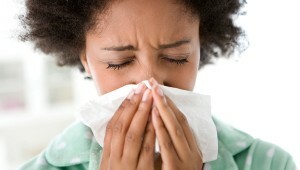 Since we had a mild winter we can anticipate spring allergies to be even worse. We’ve already heard people complaining of allergy symptoms, and if you’ve been into an M.D. lately they’ve probably advised you to “get ahead” of your symptoms with your handy Claritin and Mucinex. But should you?